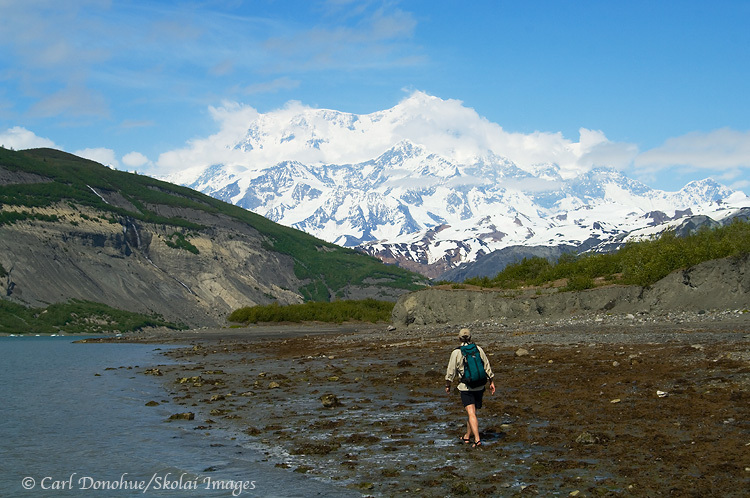 Hiker at Icy Bay toward Mount St. Elias. Hiking along the shores of Icy Bay, near Mt. St. Elias, Wrangell -St. Elias National Park, Alaska.